Hiking, waterfall hunting, paddling, boating & more....there's plenty to do in Oconee County! After your outdoor adventures, be sure to stop by downtown Seneca and Ram Cat Alley for the best shopping and dining in the area! Hartwell-Keowee Paddleboard & Kayak Co. is a locally owned family business, started by Jonathan and Amanda Anderson. We provide Paddleboard, Kayak and Pontoon Boat rentals on Lake Hartwell and Lake Keowee. Along with our 3 kids, paddleboarding has become a passion. True family time, great exercise and enjoying the outdoors are just a few examples of what paddleboarding can offer. Because of our love for being on the water, we decided to open Hartwell-Keowee Paddleboard & Kayak Co. If you too share a love for the outdoors and enjoy fun on the water along with a good workout, then give Hartwell-Keowee Paddleboard & Kayak Co. a call! ​Check out Hartwell-Keowee Paddleboard & Kayak Co's website here! After a yearlong hiatus, The Blue Ridge Arts Center, a non-profit all volunteer organization, has recently made its come back by presenting the Friends of BRAC-United in the Arts Exhibit to run Sept 12-Oct 31. Quilts on loan from the Lunney House Museum are on display as a special exhibit. Gallery Hours are Tuesday, Friday and Saturday for 1-5pm. Our reception and preview has already attracted over 200 people so come by and take a look at the fantastic talent in our area!A complete gallery of works and the 5 merit award winners can be viewed on our website which also includes contact and historical information; workshops and classes; portfolio/photography services; upcoming events and shows for BRAC and other regional arts agencies. Downloadable applications for shows and membership are available as well. Many community projects are also in the works. Most of the art work in our gallery is for sale. Help support the Arts, the City of Seneca and Oconee County business by shopping locally- including the Blue Ridge Arts Center! Visit our website! Visitors explore the history of Native Americans, Immigration, Railroads, New Deal Programs, Textile Mills, Agriculture and much more as it relates to Oconee County. The exhibit hall offers a self-guided tour of Oconee’s history. 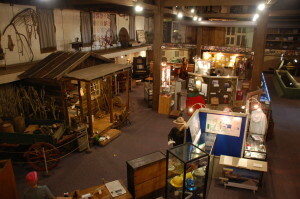 Popular exhibits include the dugout canoes being preserved within the museum, a walk-in Stump House Tunnel exhibit and a Depression Era Tenant Farmer’s House. The Louise Russell Alexander Children’s Corner is a special part of the museum where children can explore our culture and heritage in a fun environment. For more information about the Oconee Heritage Center, please check out their website! 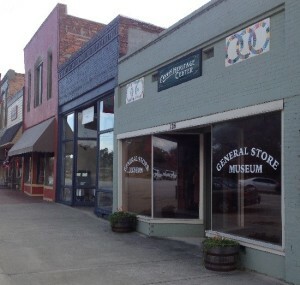 This museum displays a vast collection of original artifacts from the historic England’s General Merchandise store of Westminster and features exhibits on the history of the greater Westminster, SC, area.